Thinking about finding yourself a spot in the steadily growing Australian car wash industry? Washing your vehicle yourself with a sponge, a bucket of water and a hose is quickly becoming a thing of the past. Consumers are increasingly turning to professional car wash services making them a lucrative business option. And now couldn’t be a better time to invest. Growth in the industry from 2010 to 2015 was at 2.5%, with revenue at $527 million. Yet what are the mechanics of running a successful car wash? 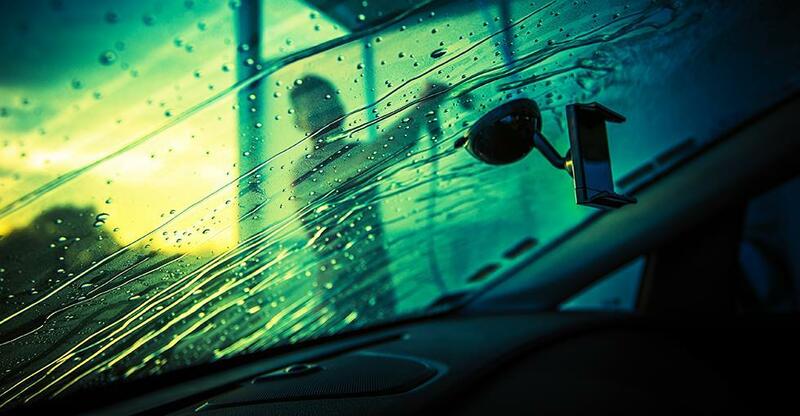 Here are some key points to consider before purchasing your own car wash business. There are two types of car wash: automated or non-automated . Many of the issues involved in running a successful carwash will depend on whether your business is the former or latter. Automated washes can also be divided into two further categories: in-bay automatic (whereby your car is stationary and rollovers roll back and forth over it) and self-service (a coin operated wash where the customer uses the tools provided to wash their car, i.e. foam, water, wax). Non-automated is essentially hand washing. This type of car wash has a lower initial set-up cost but higher operating costs as it is more labour intensive. However, customers are likely to pay more for this kind of clean – which often includes interior as well as exterior. Whether you decide to run a hand wash, in-bay automatic or self-service will, in turn, determine the equipment and supplies you’ll need. Having location-appropriate car-wash facilities is also a major factor. North American and European car washes have evolved very differently in relation to the size and style of car rolling into the forecourt; think super-sized vs standard. Location. Of course it’s important – in any business it is carefully considered (or should be) before purchases are made. Car washing is no different. But what should you look out for, specifically, in site selection? High traffic flow: If you’re in a quiet place, away from the main road and have a limited number of vehicles driving past, you’ll obviously have less customers. While you may be able to slowly gain a loyal customer base, you just won’t have the passing trade. Target market : Research the type of people living in the area – is it an elderly neighbourhood? Families? Young professionals? Is there a typical kind of car that this demographic drives? As a result of this research you can tailor your car wash to your potential clientele. Population density: It's a no-brainer - your car wash will be more profitable if in a more densely populated area. Proximity to other businesses: Local corporate businesses could bring you consistent trade if you are suitably located. A regular fleet of company cars would be a welcome revenue stream. Signage: It should be clear, concise and bold – this is particularly relevant for passing trade, so it should be visible from a distance. It’s simple. If you don’t market your business, you won’t make a profit. Using a variety of marketing strategies will be most effective in selling your business. Never under-estimate the 'gift of the gab' – showing the personality behind the car wash and getting people to trust you and your services will help build a loyal customer base. More traditional marketing strategies are, of course, a must: leaflets, ads in the local newspaper, yellow pages, and effective signs. Online marketing can also be used, including a website informing potential customers about contactable links and making use of Google Adwords. Time management and cost should be considered when marketing your car wash. For example, lower cost marketing initiatives such as leaflets and flyers will generally take less time to implement. Higher cost initiatives, a TV advertisement, for example, would take much longer to come into effect (from 6 months to a year). Cohesive branding is also a part of successful marketing. Like the signage, make sure that it is clear and consistent on all products, staff uniform and signs. Firstly, make sure that you have enough start-up capital before you enter into any deals – and that means more than the cost of the carwash. Every new business needs a significant contingency fund. Research the car wash industry in the locations you’re interested in. Talk to other car wash operators and industry experts so that you can gain a clear understanding as to how much it will cost to operate a car wash.
Once you have completed your research, take the information you have to financial advisors so that a detailed budget can be prepared. Also make sure to ask their opinion on whether, financially, the investment is worthwhile. Car ownership levels continue to climb. From more automation to greater visibility on Google and from the highway, here are some tips for exploiting this ever-growing market.